In Magic Farm you take on the role of a savvy young entrepreneur with a magical green thumb. Grow a variety of flowers and fruit in this enchanting new Time Management game. Sell your flowers separately or make beautiful bouquets for maximum profits! It`s up to you to water, protect, and sell your cash crop in order to save your beloved parents. Download free full version game today and start your magical business! 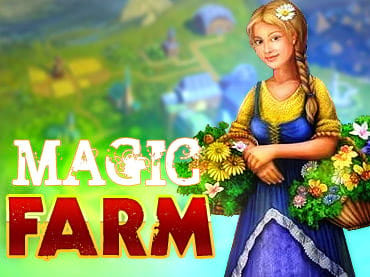 If you have questions about Magic Farm game, please contact us using this form.